For teams outside the postseason, this is the time of year when anyone within shouting distance of a microphone begins to implore fans to look to next year, when things, in theory, will be better. Exhortations of “we’ll get ’em next year” and the like are easy to go to because there’s always a few more kilometers of road to kick the can down while trying to convince fans to buy season tickets for the next season — front-row seats to the revival! — because aside from actually winning, few things sell tickets like hope. 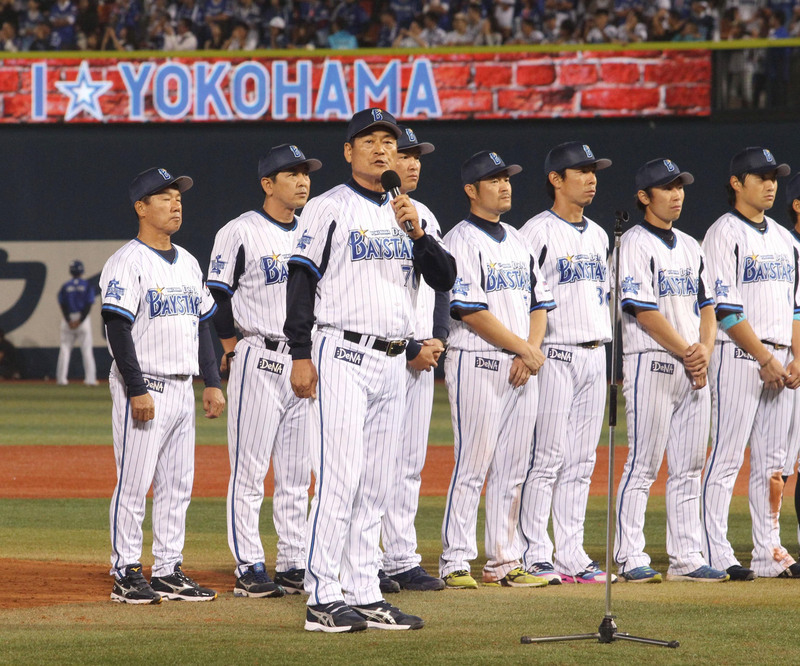 So on the surface, it wasn’t surprising to hear Yokohama BayStars manager Kiyoshi Nakahata hit the talking points during a speech on the field following the team’s final home game of the season last week. What was different, was the conviction he spoke with. Nakahata’s voice was filled with the forceful, barely restrained emotion he’s become known for during his tenure in the dugout. The man is a walking mood ring. Whatever he’s feeling at the moment is usually written all over his face and confirmed by his body language. 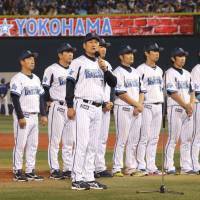 There was a mixture of desire, pride and passion in Nakahata’s words at Yokohama Stadium. He seemed to want the team to turn the corner just as much as the fans, who cheered him on from the stands, did. He was a ball of energy, shifting this way and that as if propelled by some unseen kinetic force, as he gripped a microphone in one hand and heaped praise on the Yokohama faithful. He asked fans to keep filling the stadium, and said that while the Giants should be congratulated for winning the pennant this year, he wants to take the fight directly to the champs going forward. He wasn’t requesting fans bear with the process, but demanding they jump on the bandwagon. For the first time in years, that doesn’t sound like an wholly empty declaration. Yokohama showed signs of improvement this year. The team competed hard and played meaningful baseball deep into the year, ultimately failing in a long-shot bid to erase a dreadful start by chasing down either the Hiroshima Carp or Hanshin Tigers for the third-place spot in the CL. The BayStars were 66-74-2 through Sunday, with a pair of makeup games left on their schedule, and assured of an agonizing 13th consecutive losing season. At least this year, the ‘Stars didn’t sink without a fight. The team scored runs, even as Tony Blanco’s injury woes dragged the offense down, and the midseason acquisition of Yuliesky Gourriel, who was hitting .306 with 11 home runs and 29 RBIs through 61 games, was a shot in the arm. On the mound, the BayStars entered Monday’s games with a 3.75 team ERA that was the third-best in the CL. The team has ended the year with the CL’s worst ERA every year since 2008 (a big reason for their struggles) a streak which, mercifully, seems likely to end. Things have slowly gotten better since Nakhata took over in 2012. Now Yokohama needs results. The BayStars haven’t had a .500 season since Masahiko Mori guided the club to a third-place finish with a 69-67-4 record in 2001. Mori was also at the helm for the beginning of the current malaise, overseeing a 49-86-5 plummet into the league cellar in his second and last season in charge. Yokohama has had five managers (not counting interim skippers) since then, and that quintet has produced one third-place finish, with a 69-70-7 mark under Kazuhiko Ushijima in 2005, one fourth-place season, one fifth-place finish and eight last-place campaigns. The club was 46-85-13 in Nakahata’s first year in charge, and since then he’s vowed to deliver a winner in due time. He doubled down with his fire and brimstone address last week. The Carp ended their long postseason drought last year and in the U.S. the Pittsburgh Pirates and Kansas City Royals have done the same in the past two seasons. Now the BayStars are waiting on their turn. Nakahata seems eager to deliver, and for the first time in a long while, BayStars fans have reason to feel they may actually get to that mythical “next year” one day. Maybe even as soon as, yes, next year.